Craftastical! : Xander took a nap yesterday. 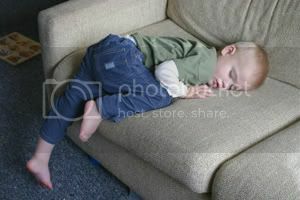 . .
Xander took a nap yesterday. . .
And this is what he looked like! How can he sleep like that?? ?